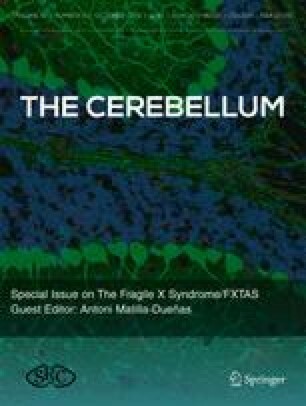 Fragile X-associated tremor/ataxia syndrome (FXTAS) is a late onset neurodegenerative disorder, characterized by tremors, ataxia, impaired coordination, and cognitive decline. While all FXTAS individuals are carriers of a 55–200 CGG expansion at the 5′-UTR of the fragile X mental retardation gene (FMR1), also known as premutation, not all carriers develop FXTAS symptoms and some display other types of psychological/emotional disorders (e.g., autism, anxiety). The goal of this study was to investigate whether the mitochondrial dysfunction previously observed in fibroblasts from older premutation individuals (>60 years) was already present in younger (17–48 years), non-FXTAS-affected carriers and to identify the type and severity of the bioenergetic deficit. Since FXTAS affects mostly males, while females account for a small part of the FXTAS-affected population displaying less severe symptoms, only fibroblasts from males were evaluated in this study. Based on polarographic and enzymatic measurements, a generalized OXPHOS deficit was noted accompanied by increases in the matrix biomarker citrate synthase, oxidative stress (as increased mtDNA copy number and deletions), and mitochondrial network disruption/disorganization. Some of the outcomes (ATP-linked oxygen uptake, coupling, citrate synthase activity, and mitochondrial network organization) strongly correlated with the extent of the CGG expansion, with more severe deficits observed in cell lines carrying higher CGG number. Furthermore, mitochondrial outcomes can identify endophenotypes among carriers and are robust predictors of the premutation diagnosis before the onset of FXTAS, with the potential to be used as markers of prognosis and/or as readouts of pharmacological interventions. The online version of this article (doi: 10.1007/s12311-016-0779-8) contains supplementary material, which is available to authorized users. We wish to thank the subjects that provided the samples making this study possible, Dr. Paul Hagerman and Ms. Glenda Espinal (Department of Biological Chemistry and Molecular Medicine, School of Medicine, University of California Davis) for providing the fibroblasts used in this study, and Dr. Flora Tassone (Department of Biochemistry and Molecular Medicine, School of Medicine, University of California, Davis) for assessing CGG repeat expansions in blood. This study was funded by National Institutes for Health (ES12691, ES020392, HD036071, and HD040661) and Simons Foundation (no. 271406). Support was also obtained from the MIND Institute Intellectual and Developmental Disabilities Research Center (U54 HD079125). R.H. has received funding from Novartis, Roche/Genentech, Alcobra, and Neuren for treatment trials in fragile X syndrome, autism, and Down syndrome. She has also consulted with Novartis, Zynerba, and Roche/Genentech regarding treatment for fragile X syndrome. The other authors have no financial disclosures relevant to this article.